In my wanderings about cyberspace I stumbled upon a blog post from Norman Holland, Ph.D., a blogger for Psychology Today’s “This is Your Brain on Culture.” I wanted to bring it to the attention of the sybaritic faithful. Does opera miss the boat when it comes to brain systems? Does Opera Make Brain Sense? Norman Holland specializes in the psychology of the arts. His latest book is Literature and the Brain. Why opera doesn’t work: Brain systems are not in sync. So, there I was, sitting in the local Bijou, sold out for this high-def Metropolitan Opera production of Lucia di Lammermoor. And there was Anna Netrebko, singing her lovely heart out and singing beautifully (if a bit raspily in her middle range). Lucia-Anna loves Edgardo (the not very exciting tenor), but there was her cruel tyrannous brother forcing her (in the splendid baritone of Mariusz Kwiecen) to marry the uninteresting but influential Arturo who will rescue the family. As you can see from my parentheticals, I’m not transported. I’m not swept off my feet. Yes, it’s gorgeous music, but somehow the opera as a whole isn’t grabbing me. What’s the problem? Something isn’t happening the way it should in my brain. Opera is “music drama.” It is supposedly even more emotion-arousing than either music or drama alone. I remember that, long ago, the old Life magazine called Don Giovanni the greatest work of art in world history because it had everything, music, story, acting, dance, and Mozart. But most opera plots, even Don Giovanni‘s, would fit in a short story if that. Lucia consists simply of two warring families in the manner of Romeo and Juliet. Lucia, the daugher in one, falls in love with Edgardo, last remaining member of the other. But Edgardo has to go off to France to repair his family’s fortunes (is he seeking a bail-out?). Lucia’s brother Enrico intercepts his letters, convinces Lucia that Edgardo is unfaithful, and forces the girl to marry Arturo. On the wedding night, she stabs Arturo and then she collapses, in the famous mad scene, finally dying herself. Edgardo, somewhat left over at this point, suicides. The music is great, the story is all right, but the combination doesn’t get to me the way even an ordinary movie or play does. (I should have used the term psychologists use: it doesn’t “transport” me.) I think the problem is that the music and the story are doing inconsistent things in my brain. Neuroscientists have been writing a lot lately about music in the brain. Music you like activates the same dorsal striatal systems as chocolate, pictures of loved ones, or ideas of revenge. In more detail, listening to music creates expectations that need to be answered, and as the music progresses, it answers those expectations, creating new ones, that then are answered and so on. We are probably dealing with what Jaak Panksepp has called the SEEKING system. Robinson and Berridge offer useful terms for this kind of expectation and satisfaction: wanting and liking. We can think of music as a succession of cycles, wanting, liking, wanting, liking, wanting, liking . . . Stories do the same thing. What will happen next? I expect, and then the story answers my question or expectation, but at the same time it creates a new expectation, and so on until the end of the story. Then all the expectations are resolved (or else we feel distinctly dissatisfied). Our brains then are experiencing two parallel patterns of wanting-liking, wanting-liking. They should combine. But notice the difference. I can tell the story of Lucia di Lammermoor in a paragraph, but the music drama goes on for well-nigh three hours, not counting intermissions. The two cycles are wildly out of synch. No wonder audiences applaud after a great aria, completely disrupting the story side of the experience. Watching opera is more like watching an athletic event than a narrative. 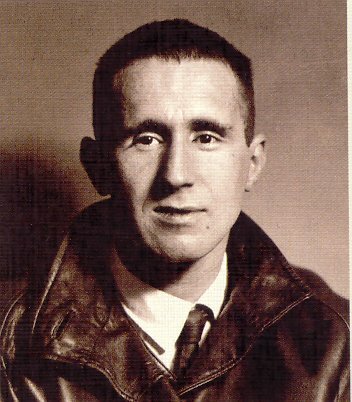 Opera as a whole is a classic example of Berthold Brecht’s alienation effect. Opera, then, includes great works of art, but they may or may not transport us. Probably the music can, the individual aria or orchestral passage, but not the story. Its slow pattern of wanting-liking, wanting-liking is constantly being short-circuited by the rapid wanting-liking of the music. Is my hypothesis true? I’d like to try it out next March 7 when the local Bijou will be playing Madama Butterfly, an opera that always brings me to tears. Am I responding just to the music? Or will my brain be combining music and story in a synchronized way? If you haven’t tried the Metropolitan Opera high-definition simulcasts, do so! They are terrific, in many ways better than going to the opera house itself. Everything is close-up, the sound is good (not quite like the live human voice, but close), and the price is a tenth of what a seat at the Metropolitan in New York would cost you. March 7, Madama Butterfly, be there. I will. Robinson, T. E. and K. C. Berridge. “The Neural Basis of Drug Craving: An Incentive-Sensitization Theory of Addiction.” Brain Research: Brain Research Reviews 18.3 (Sept.-Dec 1993): 247-91.Jaak Panksepp, Affective Neuroscience (Oxford, 1998), ch. 8. So, what do you think? Is the slow pattern of the story line cut short because of the frequent resolutions in the music? Do you agree that the audience is innately distanced from the performance by the reminders of the artificiality of the opera stage? Isn’t it nice that he added some points for further reading and discussion at the end? I have to say that I find his premise to be completely ridiculous, not in the least because I find his assertion that Lucia, in its similarities to Romeo and Juliet (one of the most impactful works of theatre in Western culture), is a boring plot line. What he is essentially saying here is that opera isn’t a valid art form because the interruptions break it up. That must mean that musical theater, in some ways the opera of today, is equally distracting and definitely has no good story lines because people clap. Does he even remember when Rent came out — and the ten years after? What I think may be valid is that, given the emergence of film, brains today are trained to be more thoroughly transported during a movie because they are unaccustomed to the breaks involved in a live performance. So it’s not the fact that opera doesn’t compute (it was written for other people with brains, after all), it’s that we don’t know how to watch it anymore — which indeed could be partially contributing to the slow failing of theater in general. I think this is one of the reasons it’s important to do opera and theater outreach; young kids need to be shown there are other ways to participate in storytelling than simply watching untouchable characters on a screen. As for the questions at the bottom of the article, I’m pretty sure that all storytelling contains a removal from the source. Unless you are literally living the story, at some point you understand there is a stage, or there is a TV screen, or there are pages in your hands. What matters is the mind’s ability to provide suspension of disbelief, both for the contents of the story and in the manner of its telling. So, in conclusion, Mr. Holland should kindly remove his brain from the audience and go live a life worthy of being told in an opera. Your comment is very similar to my thought process while reading the article. I like your idea about how viewing storytelling has changed. Most people are used to enjoying entertainment in the screen version and live performance is clearly different. Do you think that it’s just outreach that would help people suspend their disbelief regarding the manner of the telling? Do you think the HD broadcasts are confusing audience members because they’re in a typical movie situation but watching a live performance? “Go live a life worthy of being told in an opera” — nice. I think that outreach helps the most because it’s live theatre and that’s the real art form we’re trying to get people to understand, but the HD broadcasts are quite useful as well since it bridges the gap. They show people doing a live performance, with none of the benefits of autotune or lipsyncing, but still within a flat-screened medium to which they can relate. What do you think?